For Bounce House Rentals in Rancho Cordova, Look No Further Than Party Bounce House Rentals! If You're Planning A Party In Rancho Cordova, CA, This Is THE Place To Be! Party Bounce House Rentals has the bouncy castle rentals you need to make your next special event a huge success! 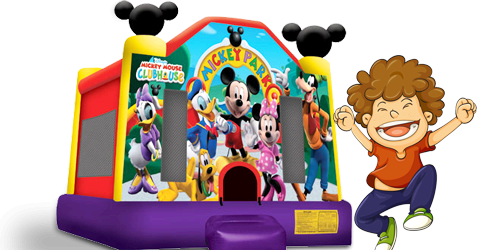 From birthday parties, school or church festivals, bar mitzvah or bat mitzvahs, and much more, Party Bounce House Rentals has the party rentals in Rancho Cordova that you're looking for! If you're looking to plan a themed birthday party, look no further than Party Bounce House Rentals. 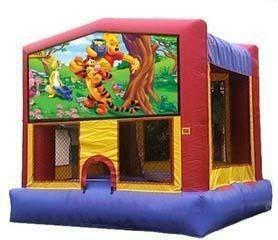 Our themed bounce house rentals will make your party the best on the block. From the popular Disney Cars bounce house rental for your little one to Dora bounce house rentals for your toddler, we have them all! 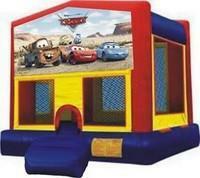 Choose any one of our many popular Disney-themed bounce houses for rent. Summer is here! Now is the perfect time for a water slide rental in Rancho Cordova! Our water slide rentals will provide your guests with hours of heat-beating fun! Keep in mind that water slide rentals are always our most popular summer rental items, so make sure you rent early to ensure we have the perfect water slide for your party. 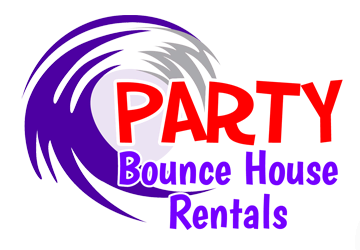 In addition to great bounce houses for rent and waterslide rentals, we also have great party rentals that are perfect for larger events. Our combo units have both a bouncing surface and a slide. Better yet, they come in all the same great themes as our bounce houses. Of course, we also have sumo suit rentals and dunk tank rentals that are sure to draw a large crowd too! Rent dunk tanks in Sacramento, CA. We've also got the concessions to keep your guests happy! You can choose from our snow cone machine, or you can easily make your own cotton candy with our cotton candy machine rental. We are committed to providing the absolute best customer service in Rancho Cordova. We want to earn customers for years to come, and work hard to make sure you have a reason to rent from us again and again. Let us help make your special day a little less stressful and a little more special! So, now that you know that Party Bounce House Rentals is THE place to rent a bounce house in Rancho Cordova, CA, what are you waiting for? 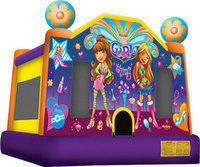 Head on over to our home page to see our entire selection of amazing inflatable party rentals.